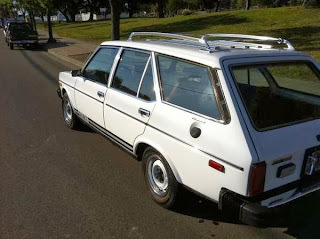 Just A Car Geek: 1976 Fiat 131 S Mirafiori Wagon - Cool Car. Tough Sell. 1976 Fiat 131 S Mirafiori Wagon - Cool Car. Tough Sell. This is going to be a tough sell. The 131 Mirafiori was introduced in 1974. It was rear wheel drive, had a fairly sophisticated (for its time) suspension and, in US trim, a rev-happy SOHC 1.8 liter 4. It had a boxy design (like many European cars of the time) with plenty of interior room. The interior was a cut above the typical middle / lower end imports, with comfortable seats and a uniquely designed dashboard. In 1976, Fiat's sales hadn't completely fallen off the cliff in the US, and, while not a big selling car, Fiat managed to sell a decent number of 131s. Unfortunately, Fiat's build quality and reliability had fallen off the cliff, and most of the Fiats sold in the US in 1976 saw the crusher a long, long time ago. This car somehow survived. The seller doesn't say if it's has been restored, but underneath the coats of wax and Armour All appears to be a very nice body. (Although I hate doing it - because I assume everyone who reads this blog knows about Fiat's legendary rust issues in the 1970s - I guess I should mention that you should check for poorly done rust repair on this car or any old Fiat.) 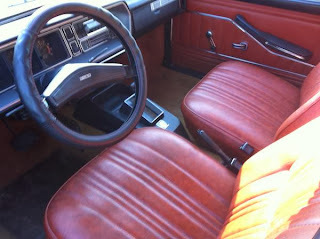 The interior looks great for a 37 year old car, with the seller mentioning only a few minor flaws. This is a rare 95,000 mile survivor in very nice shape. So why do I think it's going to be a tough sell? The second issue is the price. This is a hard to find car in nice shape. But, its market is extremely limited. 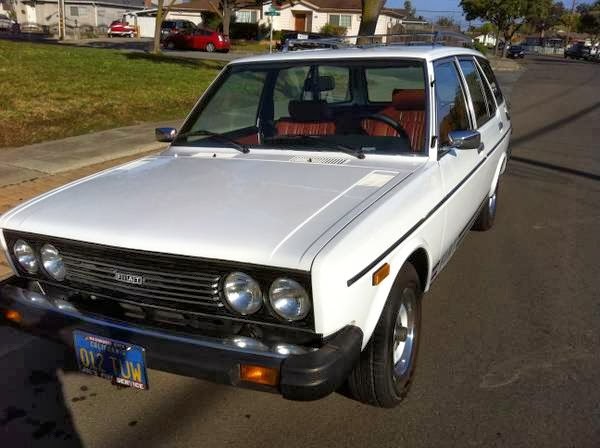 If there was a way of finding out how many times "Fiat 131 S Mirafiori Automatic Wagon For Sale In US" was googled, I think we would find that number to be very low. Someone with $4500.00 to spend on an old car still has quite a few choices. I'm not sure this one tops anyone's list. Having said all that, I hope the seller finds a buyer. This is an extremely hard to find car that deserves a home where it's appreciated and cared for. Located in the San Francisco Bay area, click here to see the Craigslist ad. If it were a manual trans and priced at half as much, I'd be all over it. Bummer about the color and the autotragic transmission. If this were a stick in pretty much any other color, I'd be more excited. "A predominant Fiat mechanic and he appraised the value at $7,500." Sorry, but that "predominant Fiat mechanic" isn't offering to buy the car. In fact, no one is. This car (with this same craigslist ad and ridiculous pricing) has been on the market for (at least) well over a year. I can't remember the last time I saw an old FIAT that wasn't a 124 or an x1/9 in person; maybe the late 80's. Like I did in the past, I will be in the habit of looking at this site every afternoon to see what was posted. I am now caught up and I am glad that there have been new posts made. Anyhow, I had never heard of a Mirafiori wagon, much less seen one. At least it's cool that one is still around in late 2013. Anyone know who owns this Fiat SW?